MDF, or Medium Density Fiberboard, is used for many different building projects and sold at most hardware stores. Some people are worried about the health risks that come with using MDF, which can include irritation to the eyes, nose and throat. However, MDF is still used almost everywhere and is typically sold three different ways. Laminated board uses different wood grain, while particle board binds wood particles together. Fiber board comes in the widest variety. Particle board is one of the more commonly used types of MDF. Particle board uses a variety of raw materials that are broken down and processed to create particles in many different sizes and shapes. All of the different particles are then bonded together and finished using a resin binder. Particle board is sometimes used to build smaller furniture for a living room, bedroom, dining room or kitchen. Fiber board is manufactured at a lower temperature in typically a dry process. 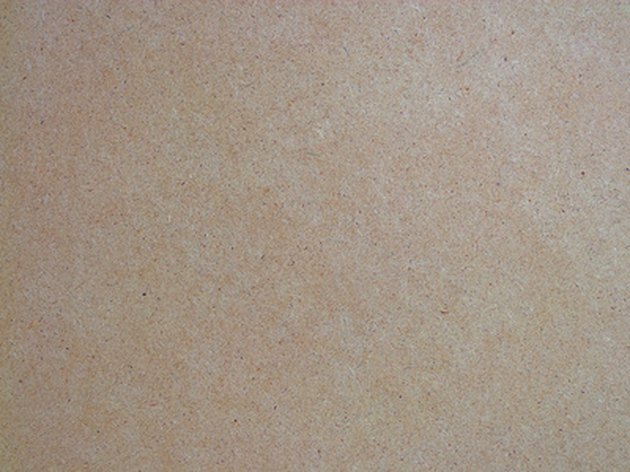 MDF fiberboard is manufactured using different types of resins and bonding agents. All fiber board is bonded using formaldehyde resins, typically urea or phenol formaldehyde. These agents can sometimes cause irritation to the eyes, nose, throat and mucous membranes, even at very low levels. It was also found that the wood dust is a carcinogen. However, there are many controls on fiber board that reduce exposure to the lowest possible level. Laminated board is another type of MDF that can be used for a wide range of building projects. Laminated board is manufactured using different wood grains. Each layer of wood product is then glued together, giving the laminated board a surface that is stiff. There are a variety of types of laminated wood. The more commonly used types include plywood and blackboard. Because of its high density, blackboard can be made into chalkboards. What Are Standard Sizes of Plywood?